Welcome home to this beautiful three-bedroom, two-bathroom Gramercy condo located on a tree-lined street in highly sought after Baldwin Park. The condo boasts a spacious open floor plan, lots of natural light, an upgraded kitchen with 42-inch cabinets, beautiful granite counter tops, stainless steel appliances, and a sizable master bedroom with its own private balcony. The master bedroom features two large walk-in closets, an en-suite bathroom with double vanities, upgraded walk-in shower, soaking tub and linen closet. This three-bedroom unit also features a large great room with French doors that lead to an expansive wrap-around balcony. The split bedroom plan includes two additional bedrooms both with plenty of natural light. Impeccably maintained, one owner unit with 10-foot ceilings and with significant upgrades. Unit has an attached 1-car garage that has plenty of storage. Conveniently located just steps from downtown Baldwin Park village center and walking distance from Grace Hopper Hall (community pool and gym), Crescent Moon Park. 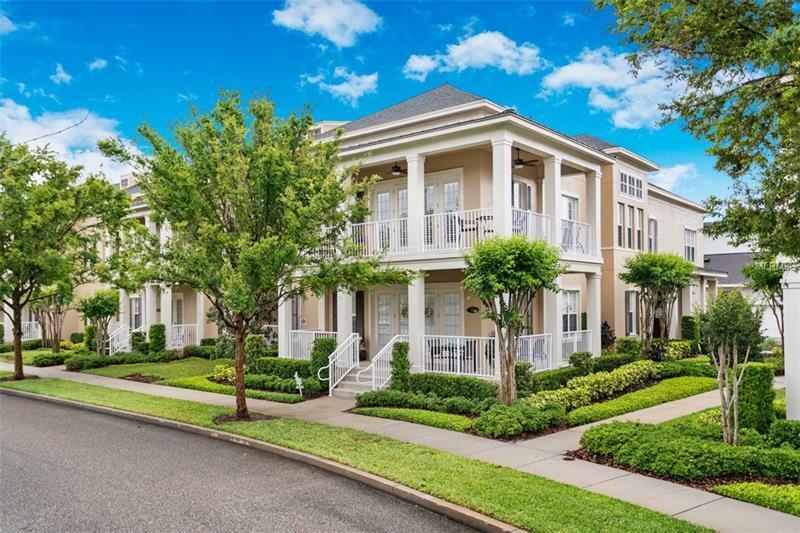 Close to Audubon park, Winter Park and everything greater Orlando has to offer! !